Simple, lightweight design is one good attribute of ESET products NOD2 antivirus and Smart Security inherited from its bygone versions. I’ve been using ESET Smart Security 12 in boot camp partition of my Mac for while and even under virtualization mode the software works perfectly well with great response and speed. ESET has a uni-license program that when you purchase an ESET Smart Security 12, it extends your protection to macOS, Windows, Android OS and other platforms. So if you’re using an iMac or Macbook PRO and running Windows or Linux using parallels or other virtualization software, ESET is one good security app choice. Look at the screenshot-not many security software have such a minimal interface, still, advanced users can access all product features from the Settings tab. Starting from version 5, ESET switched to an internet based installation for their Windows applications. Those who download ESET trial versions and buy products from their web store will get a small .exe file-it connects to the web and download the full standalone setup. The online installation is in good in a sense-users can get up-to date version of the application during the installation. However, some users have reported, “file missing” errors during the process, and they’re required to download the offline installers given below. ESET NOD32 Antivirus 12 offline installer – Download. 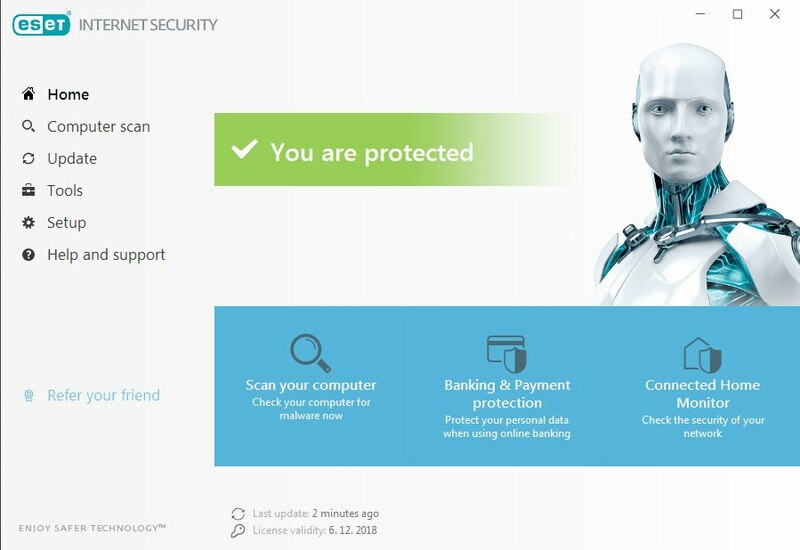 ESET Internet security 12 standalone installer – Download. ESET Smart Security Premium 12 full installer: Download. These files are hosted on the official website of the ESET itself, but the links are not directly accessible. Save the setup file for the time ahead, and use the inbuilt update facility to get appropriate software upgrades whenever required.